Warner Bros. Pictures and DC Entertainment has begun hyping up their upcoming film Justice League with a new synopsis and several cool new information for the big superhero movie set for release 2017. First off, our first look at the logo for the film which will also be directed by Zack Snyder. We also have a synopsis as early as now. He’s a little bit more sardonic, a little more irony. He’s a little more of a man on a mission this time. As opposed to, he was so full of anger because of what happened at the Black Zero Event. That sort of rage that possessed him. And now he’s on a mission to get this group together; to constitute this League. But more of that sort of Bruce Wayne, wry, ironic gallows humor comes out. He’s not like a ‘haha’ jokey, but that sort of stuff comes out a little bit. A bit of his darker humor is present. And here’s a little bit more. In Devin Faraci’s article over at Birth Movies Death entitled A Hater Tours the Justice League Set he discusses a particular scene that calls back to Affleck’s statement about a “humorous” Batman. In the clip Barry returns to his apartment, which is like a big warehouse space. There’s grafitti on the walls and a dozen TVs. He turns on a sparking fuse box to bring light to the place and the TVs jump to life. He walks into the main room and sees Bruce Wayne sitting in a chair. “You say that like it explains why you’re sitting in my place in the dark in my second favorite chair,” says Barry. Bruce, dressed impeccably, gets up and approaches the younger man. He holds out a printout of a screenshot of that Flash mpeg from BvS. He asks is Barry knows who that is. Bruce tells Barry he thinks he has special skills. “I’m into competitive ice dancing,” Barry says. Bruce notes that the costume includes ceramic plates, the kind they use to keep the space shuttle from burning up on reentry. “Very competitive ice dancing,” Barry says. Then Bruce spins around and throws a batarang. Everything goes into slomo except for Barry, who quite casually steps out of the way of the oncoming blade. He slowly looks at Bruce, at the batarang, and plucks it out of the air. Everything returns to normal speed. “I think that’s underselling it,” Barry says. Bruce is taken aback. So quickly? “I need friends,” Barry says. If you enjoyed the various costumes Batman ran around in “BvS”, you’ll certainly enjoy “Justice League”. BMD’s Faraci also writes that there’s another interesting suit that Batman wears in the movie. 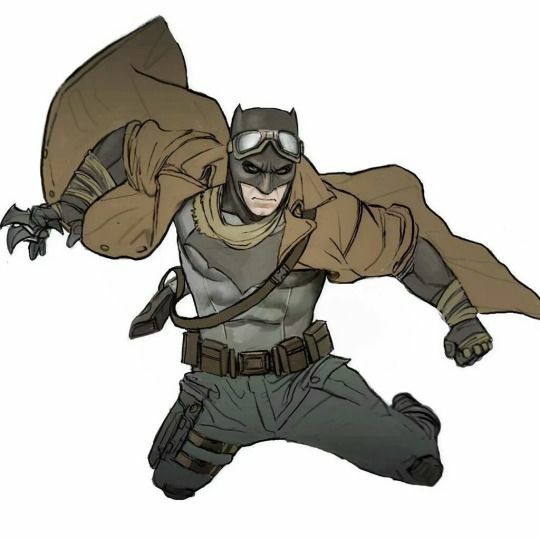 The tactical Batsuit is asymmetrical. The idea is that Bruce has modified it so that it supports his old broken body better. Like there’s a bigger pad on one shoulder because he has a bum shoulder. It makes the suit look cool, and not over-designed. This time Batman’s cowl is made of a different, thinner material. It should move even better than in the last film, where it moved as well as any Batcowl ever has. 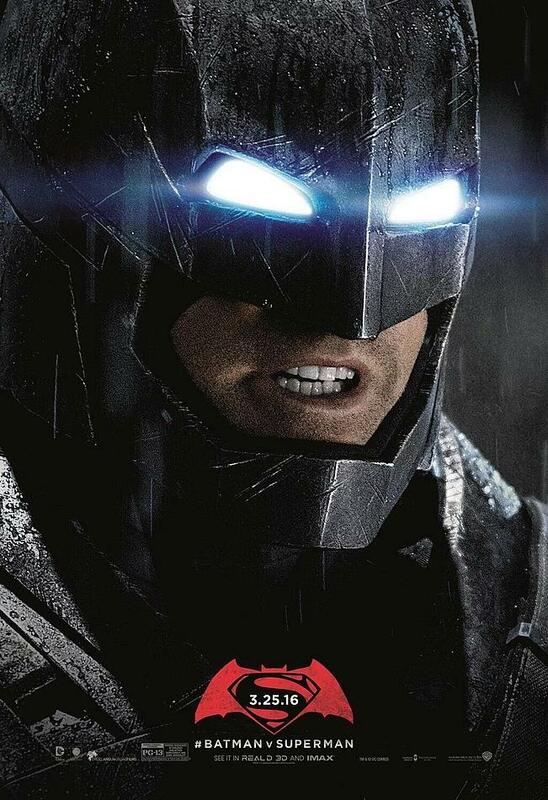 We got to look inside the cowl and see how many little ways they designed it to get heat away from Affleck’s head. It was neat. One of the cool things from the reports that are coming in that we will be seeing several new toys on Batman’s end. First thing that totally floored us is a new jet that can accomodate all seven members of the League as well as a Batmobile. He also has a new jet, a big jet. Really big. It’s called the Flying Fox and it’s big enough to transport the whole JL and to carry a Batmobile for good measure. Batman also has a quad-walker that is able to toast Parademons at any given time. So they still stick with the notion of Batman being a killer in the DC Expanded Universe. I dunno about you guys but I’m totally looking forward to see the Justice League movie as soon as possible. In the meantime you may want to read my review of Batman v Superman: Dawn of Justice.